Episode 21: Colorwork mittens, Needle talk, Christmas Socks, and a KAL for 2018! Episode 21 is full of mystery and intrigue - nah, not really - but come join me anyway! I discuss my Christmas socks, needles, and color work projects. All with tips and tricks woven in! I also announce the first ever Treehouse Knits KAL - a "KitAlong!" and announce the winner of our Episode 20 drawing. Episode 20: Giveaway, Coopworth, Lincoln Longwool, Sweaters and Planners! We've made it to 20 episodes! Thanks for joining along with me! In this episode, we do the usual FOs, WIPs, and acquisitions. I also discuss my Coopworth and Lincoln Longwool spins. We talk about a way to make your slippers not so "slippery." I finally talk about my trip to a local fiber mill and share with you my planner! Grab your drink, needles and projects and lets get started! We also have a "20 episode" giveaway! I mention the "rules" near the end of the podcast. 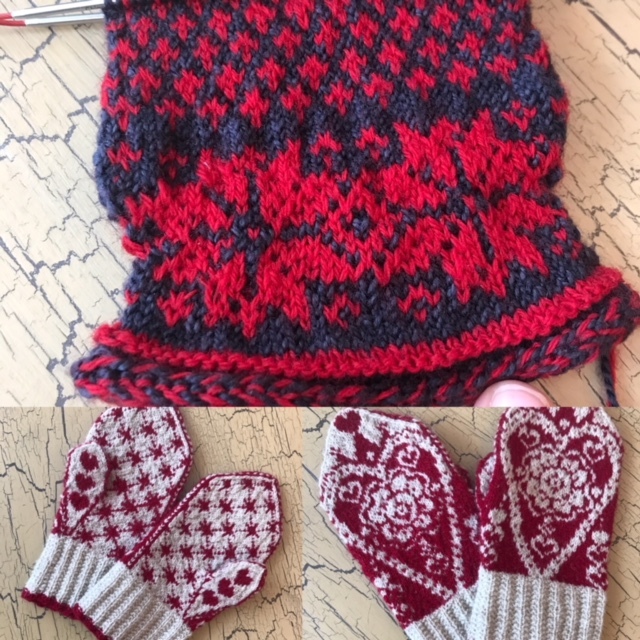 Episode 19: Sunset Highway, Colorwork Mittens and Children's Books/Knitting Gift Ideas! Hello fellow knitters! In Episode 19, I share with you my finished Sunset Highway, Winterland Mitten, and the start of my Changing Light shawl (a KAL I'm running with my guild - The Greater Grand Rapids Knitting Guild). I also urge you to follow @shershe on Instagram - a really unique blogger who not only knits, but "rescues" vintage photos from thrift stores, and researches the people in the photo's history! Fascinating stuff. Finally, I share with you my ideas for Holiday gifts for the favorite children in your life - combining a children's book with a knitted item that reflects the story. Hope you'll join me!